Following in the footsteps of the AMG C43 saloon, Mercedes has revealed a tweaked version of its high-performance AMG C43 C-Class Cabriolet and Coupe for 2018. Sitting above the updated versions of the standard car, the pair get minor design tweaks to bring them in line with Mercedes’ newer E- and S-Class, as well as a 23bhp power boost. External changes are hard to spot, but the C43 benefits from new front and rear aprons and a revised tailpipe design. The side sills are deeper than before too, while a new set of lightweight alloy wheels and aero wings ensure air-flow is optimised. 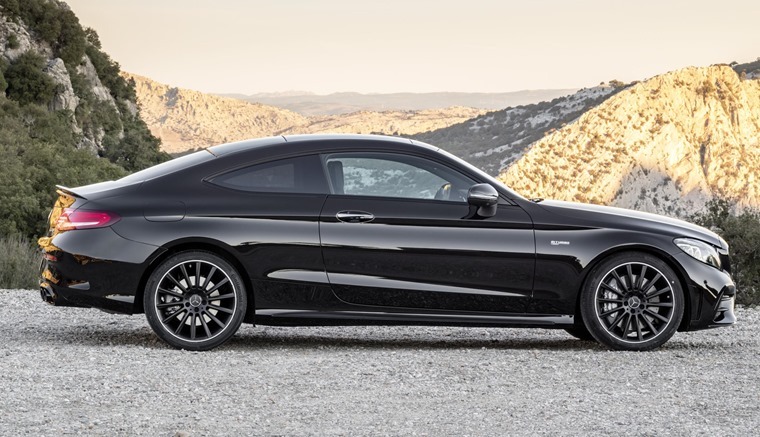 An optional AMG styling pack is also available, adding an even broader body kit and gloss-black details. Carbon Fibre and Night Packages have been added too, which add further styling elements. Changes to the interior include a redesigned steering wheel with in-built touch-sensitive controls, Mercedes’ faux ‘Artico’ leather interior, while new carbon, wood and aluminium trim is available for the first time too. A digital instrument panel with a 12.3in touchscreen is available as an option and replaces the traditional analogue dials. It offers three AMG-specific display styles – “Classic”, “Sport” and “Supersport”. 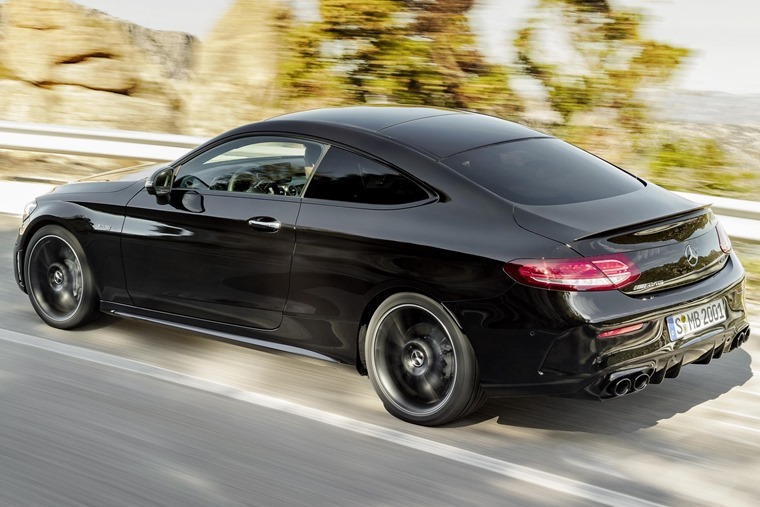 The 3.0-litre biturbo now produces 385bhp – 23bhp more than the outgoing model. However, its 0-62mph time remains the same as before at 4.7 seconds, and all 43s are limited to 155mph. An extra ‘Slippery’ mode has been added to Mercedes’ ‘Dynamic Select’ drive system, which it says increases grip on muddy and icy surfaces by using higher gearing. The other modes; Comfort, Sport, Sport+ and Individual remain the same. 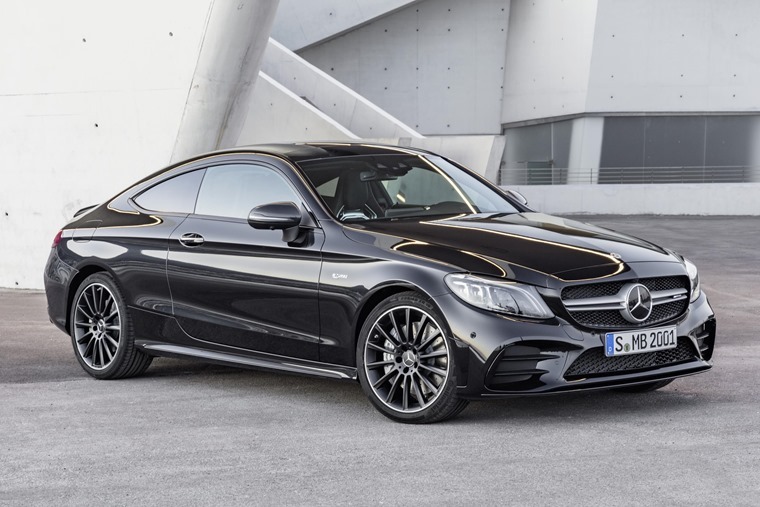 The C43 features Mercedes’ all-wheel-drive system and a nine-speed automatic gearbox. “Manual” mode can be selected using a separate button in the centre console and controlled via the shift paddles on the steering wheel. Lease rates are to be confirmed, but the C43 saloon’s list price should be in line with the current car – around £46,000 (add another £2,000 for the estate). If you can’t wait until then, you can find thousands of C-Class deals here or, alternatively, read our review of the current C63 AMG.